Recently a local news outlet turned me down for a segment featuring my company because I wouldn’t divulge the “secret recipe” to my famous Cream Cheese Biscuits. It was pretty silly for them to ask, even sillier if you scrutinize the package and ingredients, and realize - hey - I have all those ingredients right here in my own kitchen! There's some great Cream Cheese Biscuit recipes out there too, here's one very similar to mine from a blog I like. So I've decided to take a little time to reveal my "secrets" to our followers and readers and tell you, in my own words, how we make our magical biscuits. Source the finest, unadulterated ingredients possible. You must use King Arthur flour, industry known for its consistency in blending spring and winter wheats. We also use Cabot Butter from Vermont, made from cream from Happy Cows (I define a "Happy Cow" as a cow that eats grass, doesn't ingest growth hormones and feels the sunshine on its back). Find Cream Cheese free of complicated additives, and milk from local farms and again, Happy Cows. Use a "Single Action" Baking Powder. I went back to Chemistry Class and made my own. Single action baking powder kicks in at 140 degrees or so, without allowing the butter to melt out before “kicking,” trapping the butter where it belongs. Don't overmix. Develop a very accurate mixing regimen to assure no over-mixing and proper consistency. Roll and fold the dough while it is very cold, 34 degrees or so, keeping the butter and cream cheese from coating the flour, which will limit its absorption, and leave the chunks integral and visually distinct in the dough. This gives the dough its lightness, despite being butter and cream cheese rich. Fold it into 24 layers, then roll them out, cut them, and freeze them at -120 degrees for 6 minutes, making them virtually locked in time mere seconds from their creation. Make them square. Then you won't waste all your time, energy and that money you spent buying the really good ingredients. Plus, square is cool, right? Invest a few million dollars in equipment that can sheet and fold more gently than human hands. Ok, I may have lost you there. I didn’t believe machines could do this either until I saw it, it's a thing of beauty. With biscuits, "handmade" doesn't necessarily mean it's better. It means the biscuits are denser, and well, hands were touching them. So yours at home will always be a little bit denser than mine unless you invest in some pretty fancy sheeters. Sorry! Maybe you can't really make my exact biscuits, even if I tell you all my secrets. Of course, it took the Biscuiteers and I a long time to perfect our humble biscuit, 30 years in fact. We are very proud that we still make our biscuits in Bath, Maine and will gladly show you how we do it with a factory tour, upon appointment. 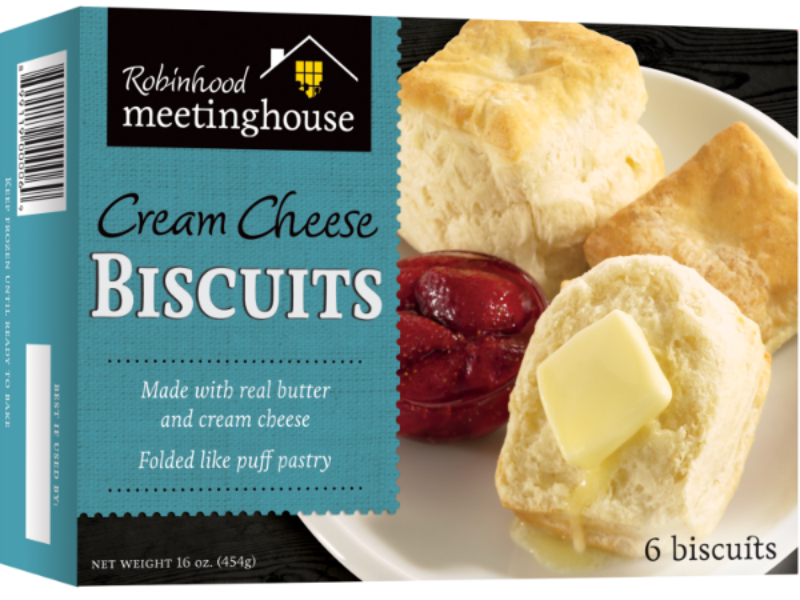 It just occurred to me that the secret to our biscuits isn't really what I described above, I would have told you that if you'd called and asked me or come by for a tour. I probably would have told the news outlet the same thing, much to their chagrin. The real secret is incredibly simple, it’s you. Secrets are for 14-year-old girls and Coca-Cola. We're here to make biscuits for YOU. In the end, I’m just mixing and freezing dough. It's YOU who purchased them, brought them home to your freezer and waited until the perfect moment, till you needed them most. YOU made your house smell like melting butter while mouths watered in the next room. YOU put them on the dinner plates, gathered your loved ones together and shared something special. YOU made the magic happen.